The ongoing U.S.-China trade war can put to risk at least 2 million U.S. jobs. The figure will increase if the U.S goes ahead with the proposed 25 percent tariff on other Chinese imports starting early March. A new study has revealed this while examining the effects of the current trade war with China and trade issues with other countries. The warning comes at a time the U. S just had a strong jobs data that cheered all. The jobs data had shown an addition of 304,000 jobs in January, much higher than what the analysts had expected. However, the report predicting heavy job loss has been dubbed "exaggerated" by some analysts. 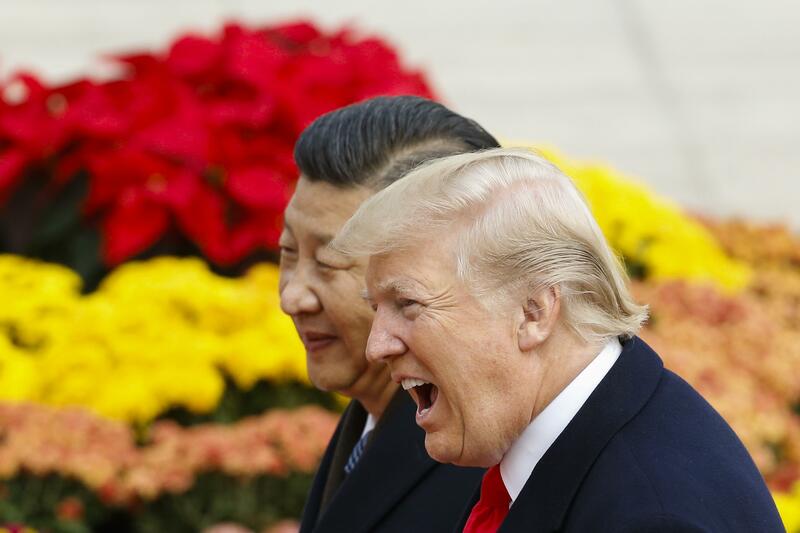 Scott Kennedy, a trade expert at the Centre for Strategic and International Studies said the report “likely overstates the job impact” and did not consider the scope of new jobs if China could make the needed structural adjustments. The report warned of a tough scenario coming from a 25 percent tariff imposition on all Chinese exports from March first week in case a deal fails to happen. The report shows how the Trump administration’s plan to use tariffs to boost the U.S manufacturing will actually backfire. The report notes that the retaliatory tariffs on U.S. exports by China, the European Union, Canada, and Mexico will indeed weaken American exports. The U.S. manufacturers will suffer from the high tariffs as costs of importing components will shoot up and affect their competitiveness in the export market. The research unveiled multiple scenarios based on the adverse impact the China tariffs will inflict on GDP, families, and jobs plus the costs of retaliation. The study also said the potential economic fallout would stay on from one to three-years. This would chop away 0.37 percent from the U.S. gross domestic product (GDP) and the impact on a four-member family will be US$767 per annum and it can lead to loss of 934,700 jobs. The worse scenario can be a combination of all the three other scenarios, in which the GDP loss will be 1.04 percent. This will take away 2 million plus jobs from the U.S. economy. Even though China news is awaited on its stand at the next round of talks in Beijing scheduled later in February, President Trump’s upcoming summit with North Korean President Kim Jong Un in Hanoi from Feb 27 to 28 Kim has moderated the media attention on the trade war negotiations.